This beautiful Hyundai Elantra GL SE has been very well cared for by the previous owner. The Space Black exterior is near flawless and pairs perfectly with the black cloth interior. 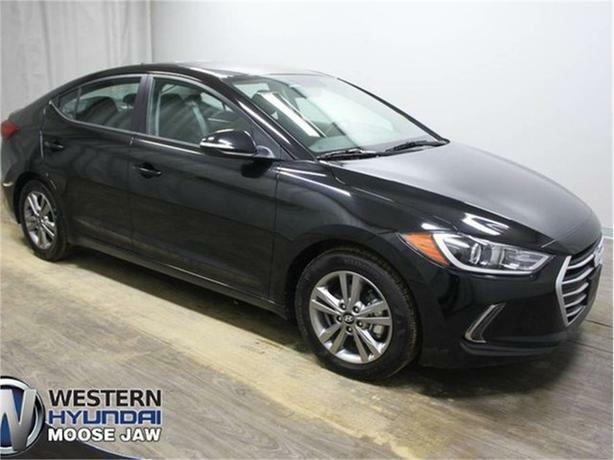 The Elantra is originally from Manitoba and has a clean CarFax report. Some of the standout features include heated cloth seats, sunroof, Apple CarPlay/ Android Auto, proximity key with push-button start and much more. Our certified Hyundai technicians gave the Elantra a thorough Sask safety inspection finding it needed little more than fresh oil, filters and wiper blades.